While occasionally sharing travel stories and tech tidbits on International Jet Trash dot com, I mostly keep this site because I love the domain name. If you want to read what I’ve been writing, or see what I’ve been photographing, check out these links. My shower talks to me. I can’t always understand what she’s saying (her voice tells me she’s a she), but I know when she’s annoyed with me. If I try to adjust the water temperature without first activating the boiler, Ms. Shower gets very cross indeed. 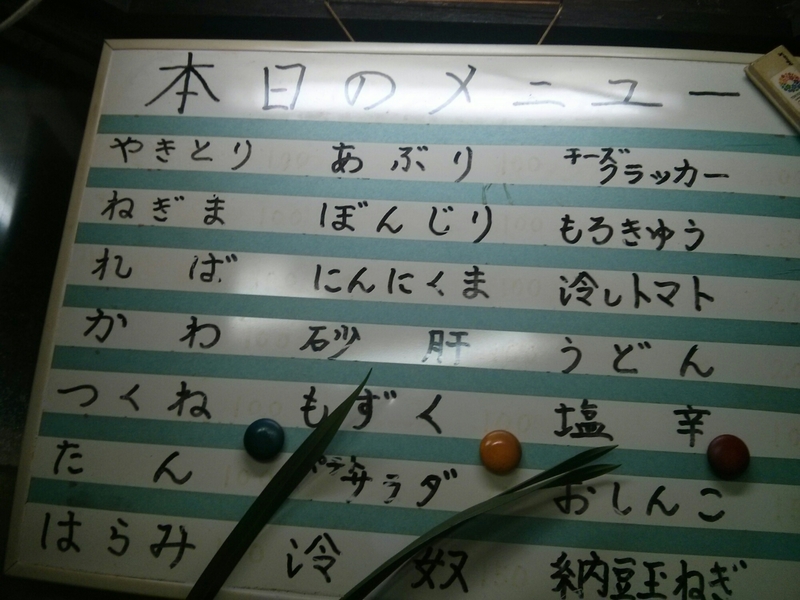 Now and then I catch myself muttering a quick “すみません” before performing the task to her satisfaction. Only then can I bathe in peace. I visited Japan to attend the International Robot Exhibition, where those who deal in future things show off their wares to would-be buyers and an increasingly-curious public. I was expecting a sci-fi wonderland, with tomorrow’s robot overlords greeting us in polite yet condescending tones. Instead, I saw that tomorrow was today. The instant I cleared customs at Narita International Airport, I stepped into a world where people and their creations live as neighbors. Appliances have voices. Trains have faces. Peer-to-peer chat-rabbits are peaking on E.
Automation doesn’t necessarily have lightbulbs for eyes and pincers for hands: a robot doesn’t even need a body. My Suica card is part of a massive automated tool: its face is that of a cheerful-but-busy penguin, always on the go, just like Tokyo’s millions upon millions of commuters. Charging my Suica became “feeding the penguin”, and I stopped getting annoyed that I could only feed it with cash. Those faces help Tokyo embrace automation and change in a way that my current home city of Vancouver does not. Canada’s Pacific Rim gateway is introducing a transit-card system that’s getting met with skepticism, if not outright scorn. We’re about to give ourselves a remarkably powerful tool, yet even its builders don’t seem to quite realize its potential. It’s funny, because our SkyTrain service is already robotic: no drivers, so kids and grown-ups can sit at the very front of the train and pretend to drive. Exacerbating this was the fact that Compass has no face, and therefore no personality. @translink Also, since it’s too late to call it “BearFare”, can we at least get a Compass product with that name? W/ pic of commuting bear? I was not joking; just trying to help. A card depicting a cuddly-yet-professional bear, maybe carrying a card with her own image on it. Recursive, fuzzy, with claws. You’d want to tap it against a fare-gate. Visiting Japan only confirmed that initial thought: a user should love the tools she uses every day. Why not build a modicum of joy into the system? When you commute via transit, you inject yourself into a city’s bloodstream. On some level, you need reassurance that the urban body is not rejecting you. Sometimes you need that reassurance, even if it comes from within: you are indeed but a cell in Tokyo’s plasma: Shinjuku Station alone moves the equivalent of Metro Vancouver’s entire population every day. While constantly fussing over whether or not it’s an “international city”, Vancouver should consider what such a city feels like: Kita-Senju, my nearest JR train station, moves more people per day than Toronto’s, Montreal’s, Calgary’s, and Vancouver’s international airports combined. Will Vancouver ever get this big? Hell, no, but our transit stations are also tiny in comparison to those in Tokyo. They’re less tolerant of crowds. To see the benefits of automating one’s commute, just picture how Tokyo would (cease to) function if everyone needed to screw around with paper tickets. Not just scale, but scalability. Moving to Vancouver from New York City, I feel like I’ve moved to a town. Yet everyone walks around as if they are in a much larger, far more crowded place. Stepping outside, I see no faces. People walk with eyes cast toward the sidewalk, and the city’s machines and machinations have been relegated to invisibility. Late one warm Tokyo night, I stopped at a Lawson’s to buy an ice-cream bar which had been lovingly made by a robot, its logo etched in by laser. Zap, wrap, ship. You know what? Those robots make a fine ice-cream bar. My morning routine involved a can of warm coffee from those vending machines you find on nearly every street. Eventually Japan’s millions of vending machines, which are already networked, will be able to communicate more articulately. They’ll tell their human attendants when they’re nearly empty, and when not to bother swinging by. Maybe they’ll gossip about your usage habits. Two Pocari Sweats before noon: big night last night, huh? A journey to Kyoto introduced me to more automated companions. Ms. Fridge, probably a distant relative of Ms. Shower, spoke to me each morning. Whatever she was saying was beyond the grasp of my laughable Japanese skills. Still, I envisioned an ideal future: me in a small-yet-efficient apartment (all those years in New York and London have instilled in me a strange fondness for small spaces), surrounded by talking appliances. Like if Ridley Scott directed a Disney movie. The Internet of Things is already here, and soon it will be more visible in daily life. I’ll indeed talk to my fridge and my shower like I talk to my plants. Couldn’t I just talk to my silent shower and dumb fridge as they are? Nah, they have no semblance of life. At least my plants breathe, and at least they thrive when exposed to the music of Nina Simone. If that’s not proof of a soul, then what is? We recognize faces. We identify with them. Daniel Simon, who designed vehicles for VW and Lamborghini, wrote in “Cosmic Motors” that we reject auto designs whose grilles don’t have facial features. It’s true: do you think we’d love the VW Beetle if it didn’t have such kind, trusting eyes? Would we not feel more at home among our creations if we built them to look more friendly? The best part of travel is that you get to report back, bringing what you found into your daily life. It’s not about turning your nose up at what you encounter at home, but about seeing the potential for change, for growth. It’s like discovering a new color. You don’t want an entirely orange wardrobe, but come on: orange scarves are fantastic. Leaving Japan was difficult, but I know I’ll be back. The mascot for the city of Narita seemed to tell me so. Is it a bird? Is it a plane? Why can’t it be both? Besides allowing avian predators in the cabin, Lufthansa – which recently inked a codesharing deal with Etihad – has focused on improving the passenger experience for falcons. According to Lufthansa Technik, the Falcon Master “enables VIPs to bring their falcons on board while keeping them nearby in the cabin during flight – a safe and comfortable solution for both owner and falcon.” It’s common to see falcon stands that look like small plinths, but the Falcon Master more closely resembles a horizontal rod, wrapped in artificial turf, with a shallow plexiglass tub underneath – similar to what you’d see at a Japanese owl cafe. Lufthansa’s patented bird stand, which launched in 2014, is moved through the cabin like a trolley, and installed over a row of folded seats upon its adjustable legs. 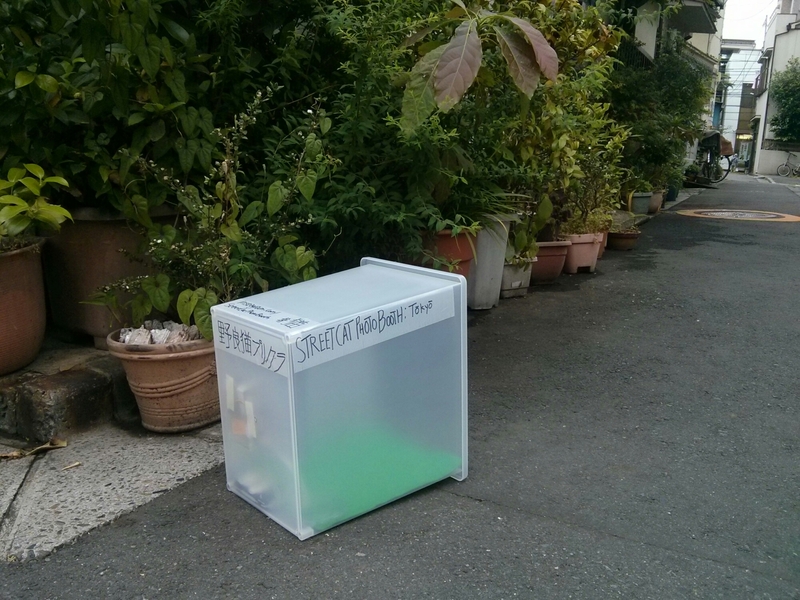 Setting up Street Cat Photo Booth in Senju, Adachi-ku, Tokyo. AI-equipped computer, camera, infrared sensor, and battery for self-curated cat photos. Output to Instagram. The Capture Photo Festival is entering its third year, and doubling down on its public presence. Vancouver isn’t super-huge on public space, but watch for billboards, transit stations, and even a power station to pull double duty as giant surfaces on which to display lens-based art. Besides the public art, galleries across the Greater Vancouver Area will be hosting photo-based exhibitions, resulting in a many-faceted megashow that Vancouverites would be crazy to miss. I was thrilled to get a glimpse of what’s on tap as Executive Director Kim Spencer-Nairn and Program Director Meredith Preuss hosted a media preview in Gastown. Nine stations along the Canada Line will display a series of giant-sized images. The King Edward stop will be showing off John Goldsmith’s Bondi Beach, winner of the Georgia Straight/Capture Festival Canada Line Competition. 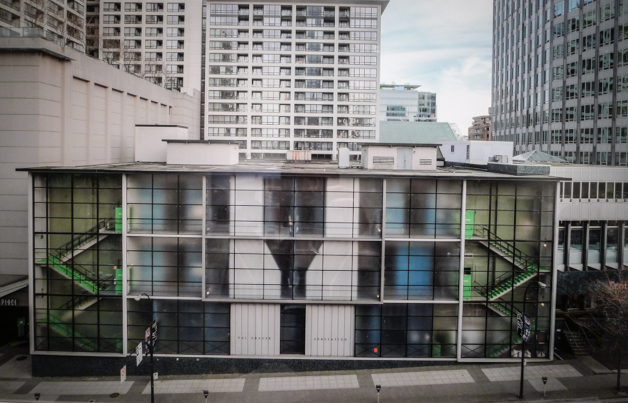 The Dal Grauer Substation (that building with the huge transparent outer wall next to the Scotiabank Cinema) will host a massive work by Steven Waddell. As with last year’s Dal Grauer installation, it will only be revealed at the last minute. 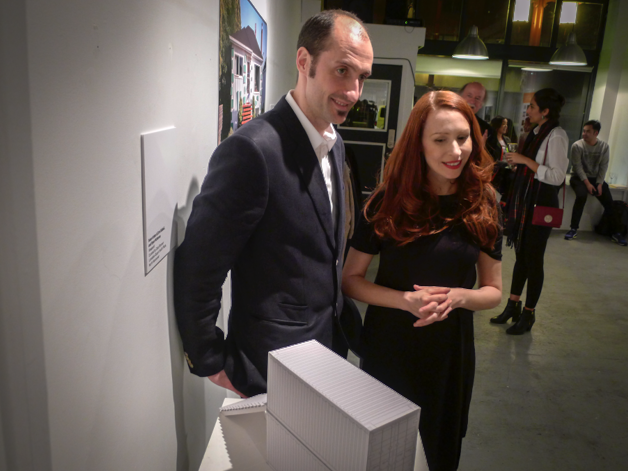 My favorite of the evening was a sneak peek at Viewpoint, by Erin Siddall and Sean Arden. 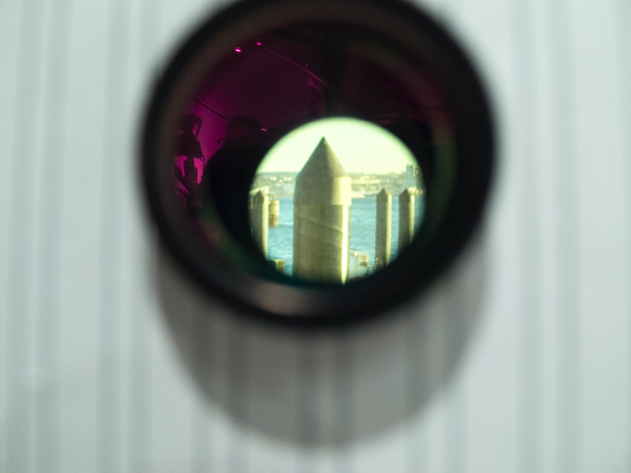 Siddall and Arden turned a shipping container into a camera obscura, aptly named Burrard Inlet Big Camera, which will sit at Lonsdale Quay. It gets its name in homage to Giant Camera, the camera obscura perched near the Cliff House in San Francisco. Big Camera will sit atop another shipping container, in which Cate Rimmer will curate images from First Nations artist Ryan McKenna. Here’s a map of the 2016 Capture Festival public installations. The festival runs April 1-28. Indulge your love of photography, or ignite it for the first time. Yes, it’s a change. Think of it this way: instead of the runway pattern, the sail-like curves evoke the “port” in “airport”. Better still, don’t overthink it. Just go with it. 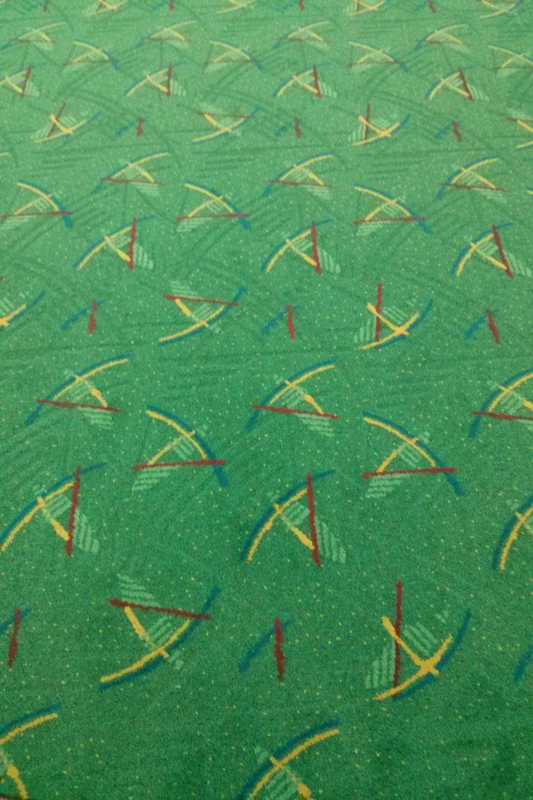 It’s a PDX-carpet world, and we just live in it. As a photographer, you must get comfortable with compromise. For example, I wanted to use a crane to hoist a Tokyo taxi up into the air above Shinjuku. 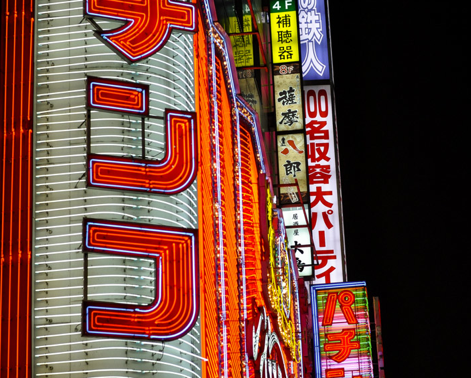 I then wanted to lean out a window and photograph it, lit only by the ambient lights of Kabukichō’s iconic signage and the street below. Reality check: I have no taxi and no crane. I’m also not in Tokyo at the moment. What I do have, though, are a toy taxi, a portable hard drive, some white paper, my phone, and my bathroom. 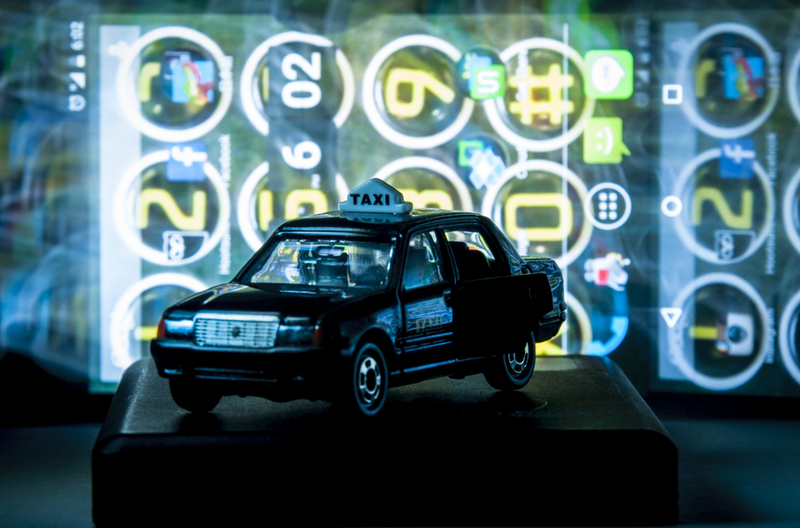 I turned out the lights, and used my phone to light-paint the front aspects of the toy taxi. Then I slowly moved the phone around behind the taxi to approximate the signage. I held the phone still in a few spots to get some of the busy-ness of the screen to approximate the aggressive signage of the actual street; otherwise it’s quite easy to create a smooth, streaky background by simply sliding the phone (or any light source) behind the model. I guess my point is, should anyone in Tokyo be able to hook me up with a crane and a taxi, I feel I’d do a great job with that shoot. What’ll it be this evening? WestJet has special signage reminding both men and women to avoid dropping their smartphones in the toilet. A friend who used to work in the mobile-phone sales industry told me that toilets were the leading cause of phone death. Stay safe out there. Babies are babies, and so shall they act like babies. I usually fly from Vancouver to NYC aboard the second leg of Cathay Pacific’s HKG-JFK megaflight. It’s… very family-oriented. 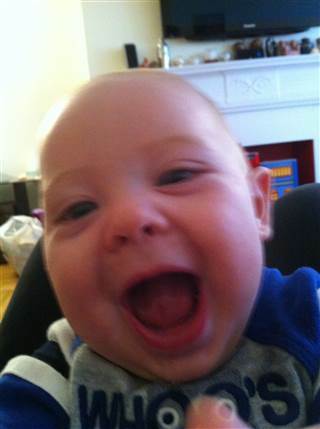 Lots and lots of screaming babies. The moms and dads are like, “Whatever.” That’s the right attitude, in my opinion, provided they’re actually trying to comfort their kids. Which they are. Because nobody likes having a tiny person with no volume control screaming in their ear. So, yes, I agree with this opinion piece. Why you shouldn’t give out goody bags while flying with a baby – Parents (TODAY.com). Dr. Leigh Smith Paging Doctor Smithy!